The only restaurant in NYC offering off-site crawfish boils! The Gumbo Bros are the only Cajun restaurant to offer off-site crawfish boils in NYC - So you can enjoy this southern seafood tradition at the venue of your choosing! You pick the event space, we bring the food and all the equipment needed for an authentic Cajun boil. We also offer shrimp when crawfish aren’t in peak season. Make your next event unforgettable with an authentic Louisiana-style whole alligator roast! 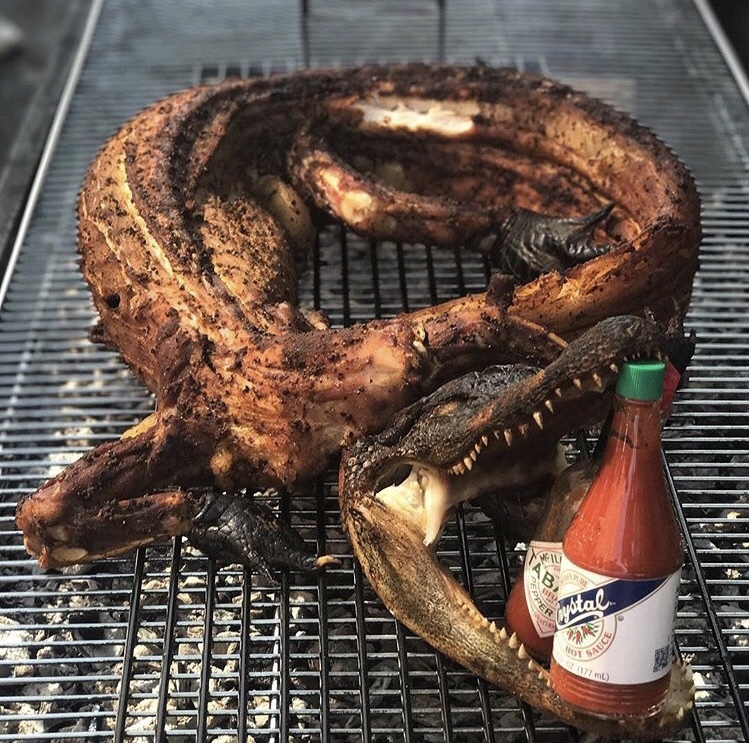 We offer whole alligator roasts for the true southern adventurers in NYC, as well as whole pig roasts. Our catering team will provide everything you need to wow friends or employees with this southern classic. Spice up your next meeting or office lunch with our corporate catering packages! Bored with the usual lunch options? We offer same-day lunch and dinner delivery on orders from our office catering menu. We can also accommodate larger scale events and conferences with custom catering menus specifically tailored to your group and venue. Prefer beignets over a wedding cake? Celebrate your big day with a Louisiana-style feast as authentic and unique as you are! Gumbo Bros offers full-service catering for weddings in and around NYC and Brooklyn. We work with you to create a custom Cajun menu, including everything from passed hors d’oeuvre and signature cocktails to dessert, so you can delight your guests with southern charm. Our coordinator and our team of professional servers and bartenders will make sure everything goes smoothly so you can relax and enjoy your big day! From office parties to crawfish boils, our catering team will help make your next event a memorable one.